RYU Apparel Inc., creator of urban athletic apparel, has officially opened its ninth store location in the outdoor mall of Fashion Island, at Newport Beach, California as it continues its West Coast expansion. 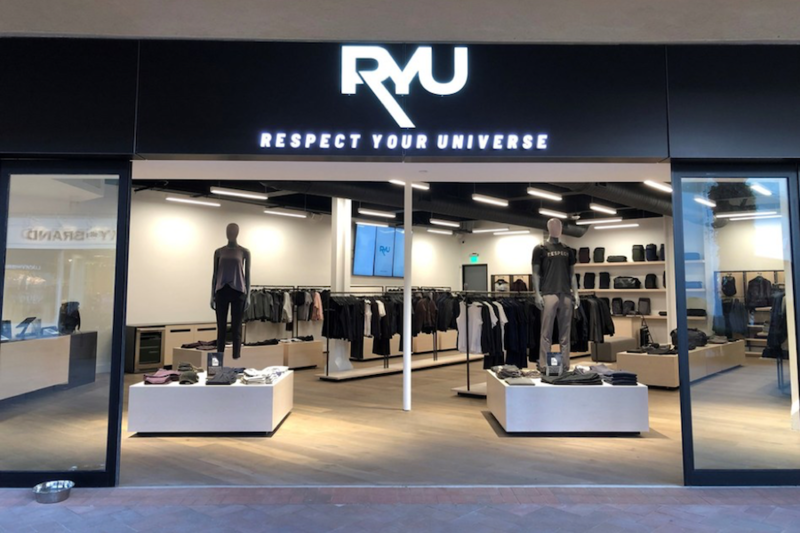 RYU, which stands for Respect Your Universe, has opened its second store in California representing its third experiential retail store in the United States. With a store in New York, four in Vancouver, and two in Toronto, RYU’s bricks and mortar footprint has reached a total of nine locations in North America. “We are proud to be part of the Orange County community in one of the most important malls of North America. Having been embraced in such an exclusive environment is humbling and a further validation of the acceptance of our brand and innovation in the athletic sector,” said Marcello Leone, CEO of RYU. The new RYU store is located in the southern area of the mall, on the main walking corridor and it follows the opening hours of the mall, Monday through Friday from 10am to 9pm, Saturday 10am to 7pm and Sunday 11am to 6pm. Fashion Island is located at #347 Newport Center Dr, Newport Beach, Orange County, California, 92660.